As a victim of torture, Ms K should never have been detained. She fled to the UK in 2005, having suffered years of domestic violence from her uncle in Nigeria and because she refused to submit to female circumcision.Â On arrival, she was told by others in the Nigerian community, that the hostility and discrimination from the Home Office against Nigerian people was so severe that she didn’t stand a chance of getting asylum. She lived underground for years relying on friends and charity. In 2009, she was arrested and convicted of possessing criminal property because she had a few thousand pounds in her bank from the sale of her parent’s home. She was remanded in Holloway and eventually in desperation, and believing that she would be released sooner, pleaded guilty and was sentenced to 14 months. 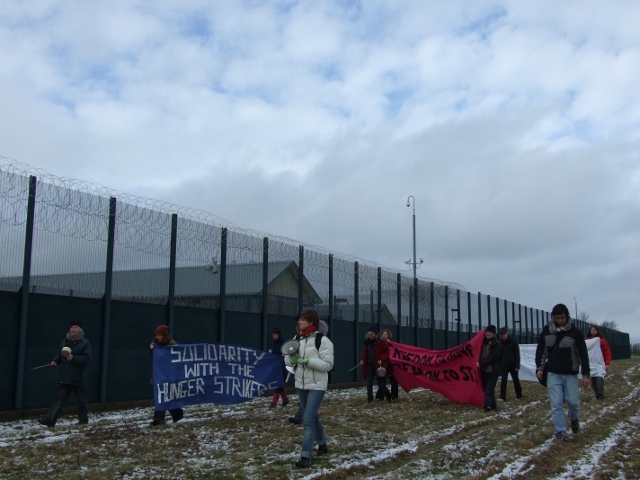 While in prison, she made an asylum claim but when she finished her sentence, instead of being released she was taken to Yarl’s Wood. She reported to the authorities that she was a survivor of torture and showed them her scars, but no action was taken. The organisation of health professionals, Medical Justice, interviewed her and documented the torture she suffered. At the bail hearing, Immigration Judge Mr Pullig accepted expert medical evidence of the domestic violence Ms K suffered which had been dismissed by the Home Office. He also refused a request that Ms K be tagged as a condition of her bail.